Hi everyone. Another week, another challenge here at UYS. There is a "rule" or guideline for visual images. It is thought that if a photo, layout, card etc were divided into thirds, vertically and horizontally, then it would be more visually interesting if your image falls along these lines. Not sure if this is true or not, so I have taken this rule and changed it up a little I challenge you to create your next project using THREE of anything you put down. 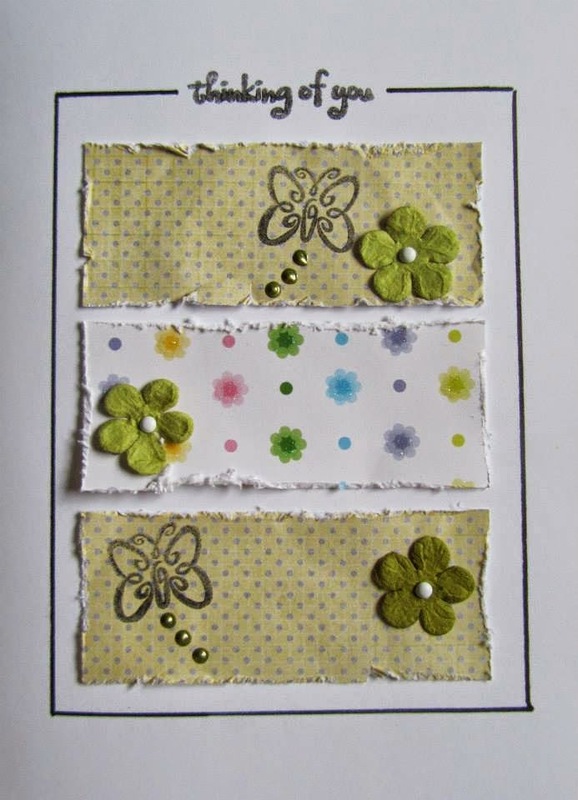 Three photos/images, three embellishments, three pieces of cardstock, paper etc. Here is my example. I used three photos, three patterned papers, three flower punchie diecuts, with three jewels and three words in the title. I hope you take up this challenge. Thanks for playing along with us at Use Your Stuff. I made a card for the Rule of 3 challenge (3 stamps, 3 pieces of paper, 3 stamps and 2 sets of 3 dots of pearl paint - oh and 3 brads! I made this cute little bookmark for my challenge this week. I used 3 stamps, and 3 embellishments. I also have 3 colors. I hope you like it. When I got up this morning and saw this challenge, I knew right away what I wanted to do. Thanks for the inspiration!! Great challenge theme, thanks! Lovely inspiration by DT too! !